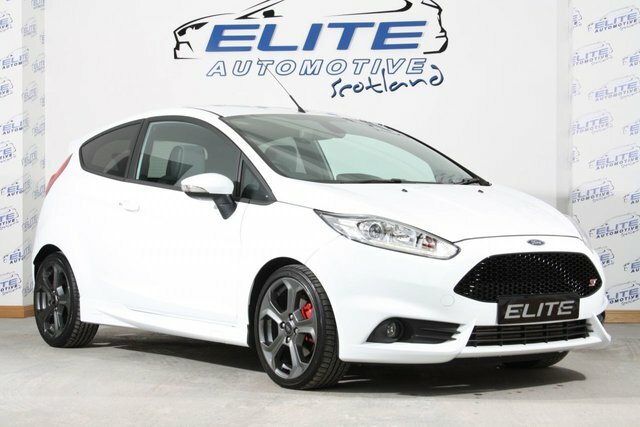 Another top of the range Fiesta ST-3 Finished in Frozen White with Full Service History and only 18000 miles on the clock! Featuring Sat Nav, Keyless Entry, Rain Sensitive Wipers, Auto Lights, Auto dimming Rear View mirror and Sony Sound System with Bluetooth - CALL TODAY TO ARRANGE A TEST DRIVE!! ALL OUR CARS ARE HAND PICKED AND HPI CLEAR ENSURING COMPLETE CUSTOMER SATISFACTION - WE ONLY SELL CARS WE WOULD DRIVE OURSELVES! !